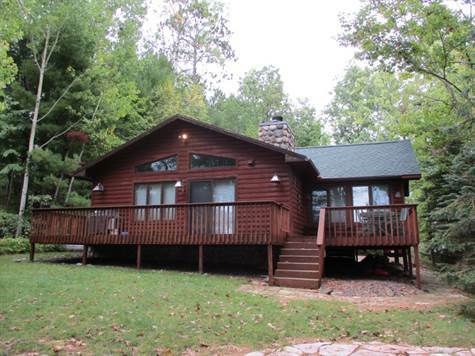 Very well kept, log-sided 2 BR home on 331 feet of lakeshore on Whitefish Lake nestled in 6.23 acres of privacy. This very efficient year around home provides excellent privacy on our area’s deepest lake. Many interior updates , 4 season room and new roof in 2017. Home has wood burning fireplace, knotty pine interior and large deck for enjoying and entertaining. Upgraded counter tops in kitchen and bath.